Social media is gaining in prominence as a way in which car buyers & service customers make their purchase decisions, Marketing Delivery managing director Jeremy Evans will tell AM LIve delegates who attend the agency’s masterclass at this year’s event. “With more digital channels than ever at the fingertips of customers and a propensity to seemingly switch between platforms at random when choosing their next car, managing multi-channel communications can be confusing," said Evans. 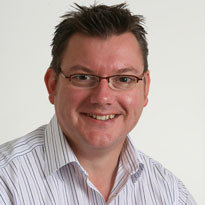 Evans will highlight stats, facts and figures on how much time varied demographics of consumers spend using different channels as well as demonstrating how engagement rather than broadcasting boosts customer loyalty and aids conversion when he leads the masterclass as part of AM’s one-day expo which takes place at Birmingham NEC on November 9. "Customers are keen broadcasters and are quick to air their opinions, both good and bad, on social media channels and are ardent readers and publishers of reviews. "This high level customer feedback can sometimes go unnoticed as consumers have there are so many platforms and forums on which to publish. As part of Marketing Delivery’s session Evans will highlight the tools which enable dealers to keep track of social media activity and thereby engage with consumers at the most appropriate points. “Dealers can have the best social media tools, content and engagement but to really maximise platforms, good data is more essential than ever. By overlaying social media activity with the dealer’s data and targeting those who are in-market via social media delivers exceptional results at an incredible price. Evans will also draw on learnings from the USA surrounding Facebook advertising whilst the session will also explore emerging platforms such as WhatsApp and Facebook Messenger. Facebook advertising is integrating further with Facebook Messenger and the introduction of ‘stories’ on the messenger app ‘my day’, which enables users to upload or take images with messenger as well as adding text and filters, underlines this trend further. Automotive Management Live is free for dealer and manufacturer delegates to attend, although pre-registration is required, and brings together the sector’s leading suppliers under one roof on one day as well as providing a wide range of insight theatre presentations tackling some of the key challenges facing the industry. Register at free at www.automotivemanagementlive.co.uk/online-registration.